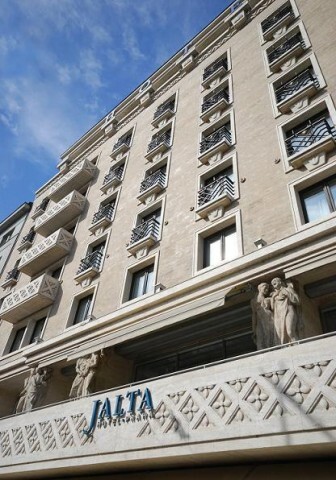 The Hotel Jalta sits in a prime spot on Wenceslas Square in central Prague. It’s tall and imposing, as it should be given its vintage: the Jalta opened in 1958, when Prague was in thrall to Moscow and public buildings had statements to make. The Jalta, though, is not just another brutalist piece of Socialist Realism. Instead, its lines, both inside and out, are softened by Art Deco and Nouveau touches – the figures carved on the facade, the balustrade of the sweeping staircases and the geometric patterns on the stone- and metalwork. True, the corridors are wide enough to drive a tank down, just in case guests got uppity, so the proportions are definitely in the mode of so-called Stalinist Baroque, but the architect, Antonín Tenzer, did a brilliant job of softening the totalitarian feel of such buildings. Nobody is quite sure how Tenzer got away with this subtle celebration of western decadence. Some say he had the ear of the Czechoslovakian president at the time of construction, Antonín Zápotocký, others that he was allowed a little leeway in return for keeping schtum about one of the hotel’s most intriguing amenities – its built-in nuclear bunker. The subterranean shelter was the first part of the Jalta to be built, the hotel’s construction being a perfect cover for the surreptitious excavations needed. Able to house 150 people, with its own underground water supply and hospital, it was intended to be a Warsaw Pact command centre should, say, Moscow be knocked out in a ICBM strike, as well a bolt-hole for the Czech government. 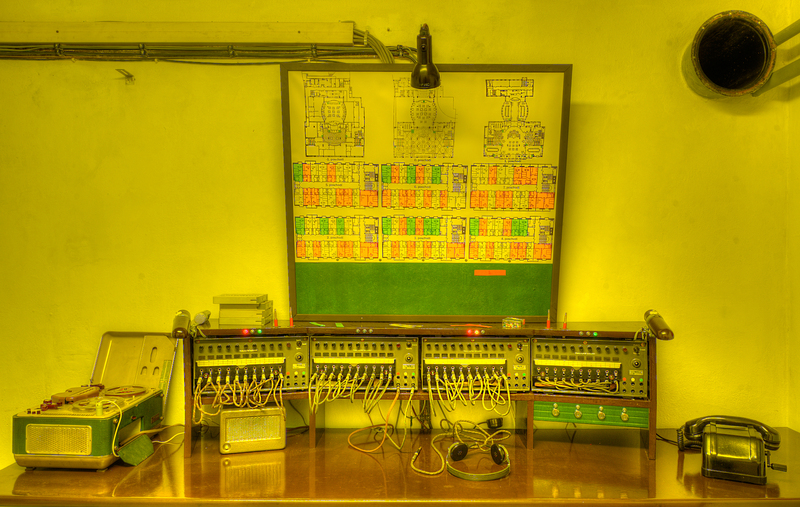 The reason for this laissez-fare by the authorities is clear from an artifact sitting on a desk in one of the rooms – the Czech State Security’s switchboard. It looks like an ordinary old-fashioned wire-and-plug telephone exchange, but in fact this was the device with which the StB could activate the bugs in the rooms. On the hotel plan above the switchboard, the VIP rooms, where journalists and politicians were housed (with, the StB doubtless hoped, the odd call girl or two), are coloured red, so the listeners knew which rooms to go for first. Eva tells me that the system led to some Le Carre-like tradecraft among the visitors. ‘When the reports of the listening devices were declassified, lots of them said that the operators couldn’t hear the conversation because of loud music or the shower was running. 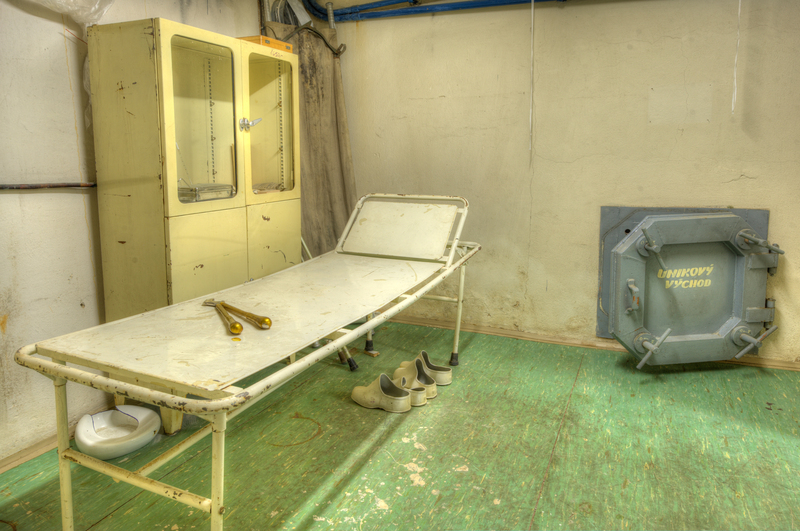 Everyone knew everywhere was bugged – and even the bunker was an open secret. When the Jalta manager was asked who in the hotel knew about the secret bunker, he said everyone who worked here. But those were the days when it was best you said nothing.’ Little wonder that almost everyone I spoke to in Prague brought up the subject of Ukraine and Putin and shivered a little, as if the old, cold days could sweep back at any moment. What lies beneath the Hotel Jalta certainly doesn’t feel like ancient history, not yet at least. (420 222 822 111, hoteljalta.com). Book a tour of the bunker through the concierge. Thanks to Eva of CAT Guided Tours (00 420 602 618 354, catguide.cz) for showing me the bunker and to Czech Tourism (020 7631 0427, CzechTourism.com). I travelled as a guest of Voyages-SNCF (0844-848 5848, voyages-sncf.com), taking the night train from Amterdam to Prague. Of which more later. 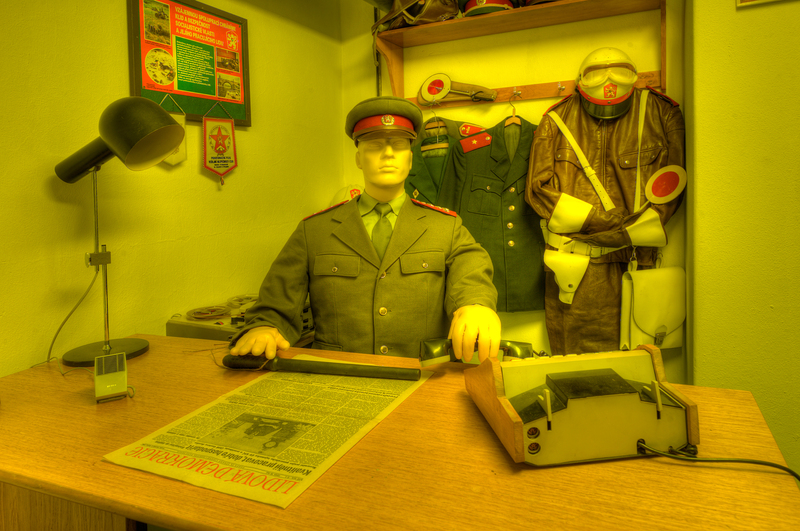 This entry was posted in Travel and tagged Cold War, Prague, Russia on March 13, 2014 by Robert Ryan.